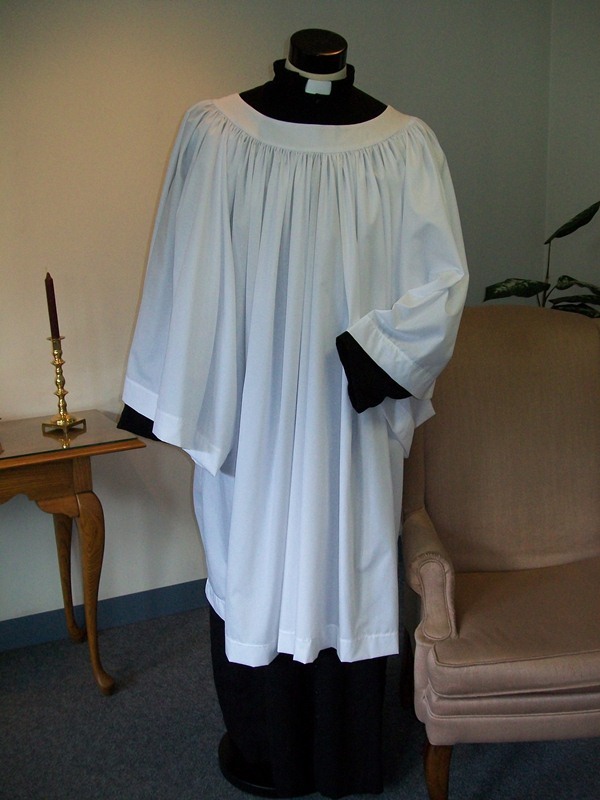 this flowing surplice design may have been the style worn by Dr. Martin Luther himself. With a 29-inch yoke opening, it provides for easy robing. While this allows the garment to fit close enough to be securely centered, it also prevents side to side shifting. To provide divine flow, this garment is constructed with generous amounts of fine fabric such that it measures 120” inches around the hem and 60” around the sleeve cuff. The setting of the sleeves permits generous armholes and free movement, allowing dynamic flow in full-arm extended blessings.